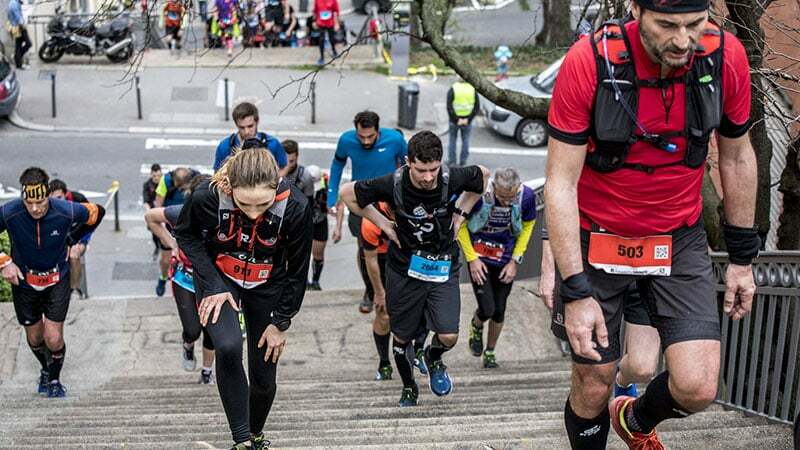 Since 2007, Lyon Urban Trail has organised races through the streets of Lyon, allowing runners to see the city like they’ve never seen it before. What is the Lyon Urban Trail? In 2007, Lyon was the first city to host an Urban Trail, a concept created by Extra Sports. The Urban Trail brings running to the heart of the city centre. Rather than running around the countryside, the Urban Trail gives you the chance to explore the city you know and love in a way you never have before. 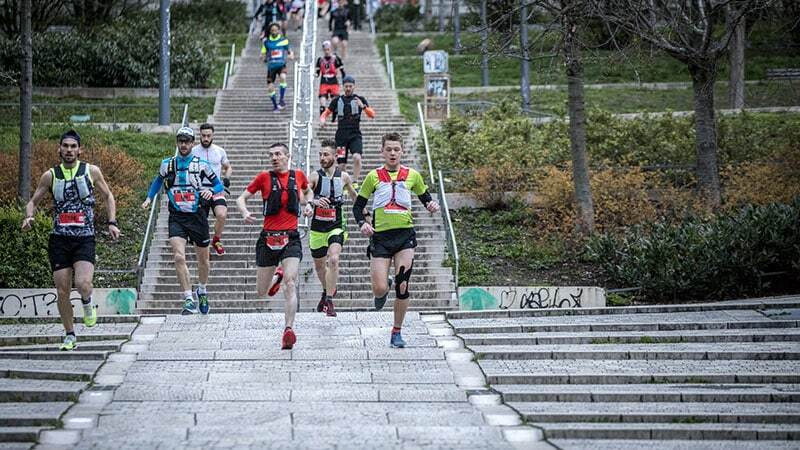 Lyon – as the original city of the Urban Trail series – is the perfect place to host a race. With its unique history and status as a UNESCO city, there could be no better place to explore. Lyon Urban Trail promises to show you the city ‘like you’ve never seen it before’. Even locals have the chance to discover treasures they’ve never noticed before! The race can be run by expats, tourists, inhabitants, novices, or experts – there’s something for everyone. Lyon’s Urban Trail has subsequently been copied by several French towns, along with European towns and cities, including Paris, Dijon, and cities in the U.K., Belgium, and Italy. 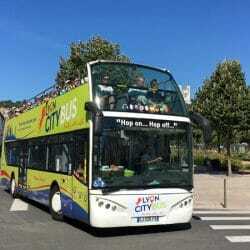 When is the Lyon Urban Trail? Lyon Urban Trail offers two opportunities to get involved: one in April, and one in November. April’s event allows runners to explore Lyon’s historic streets during the day, taking in the (hopefully) sunny spring weather. On the other hand, November’s race takes place in the dark! You’ve probably never explored so much of Lyon at night in one time, so what better opportunity can there be? Where is the Lyon Urban Trail? 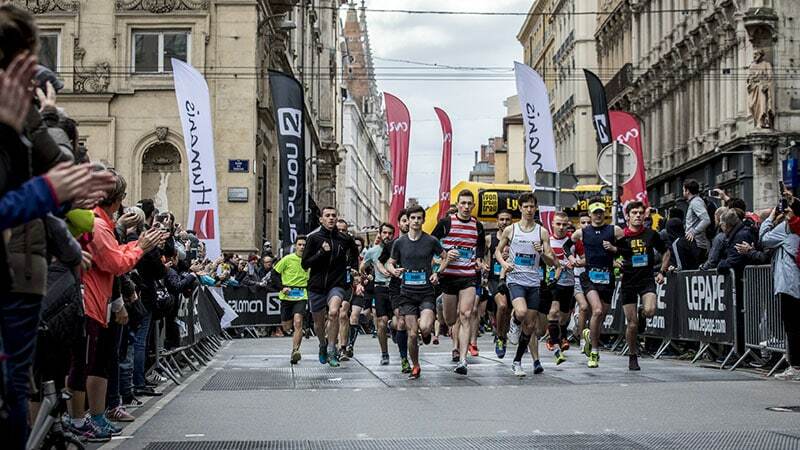 During the Lyon Urban Trail, runners race through the city, covering a vast area. 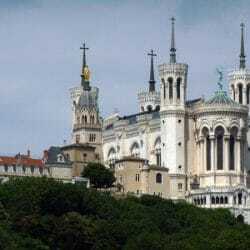 Highlights you may see include The Roman Theatres up in Fourvière, where the ancient Roman town of Lugdunum used to be. The discovery of the site is then followed by a passage through the museum – the perfect compliment to the archaeological exploration. From the theatres, you can even see the Alps. Other sites often include La Montée du Gourguillon (Lyon 5th) , one of Lyon’s most picturesque streets, due to its cobbles and medieval houses. In complete contrast to this is Le Chemin Vert in the 4th arrondissement, which is a dead-end road with graffiti-covered walls. Tickets will be available on the Lyon Urban Trail prior to each event, on Lyon Urban Trail’s website. There are different course lengths that can be opted for – 8km, 14km, 24km, or 37km. The 8km is perfect for beginners – focusing on collectivity and fun. It’s sure to be pressure-free – a perfect way to spend time with friends, whilst getting fit. If running is too intense for you, you can always choose the 12km hike. The real Queen of the Lyon Urban Trail is the 37km race. Opting for this race is certainly a physical challenge but also the perfect way to see all the city has to offer. You run from the city centre, to Caluire et Cuire and Sainte- Foy les Lyon, along with passing by Lyon’s two hills and two rivers. Lyon Urban Trail’s principal partner is CNR, ‘Compagnie Nationale du Rhône’, which is France’s biggest producer of 100% renewable electricity. Other official partners include the sporting goods providers Salomon and Lepape, the social protection group Radiance, and Ville de Lyon. 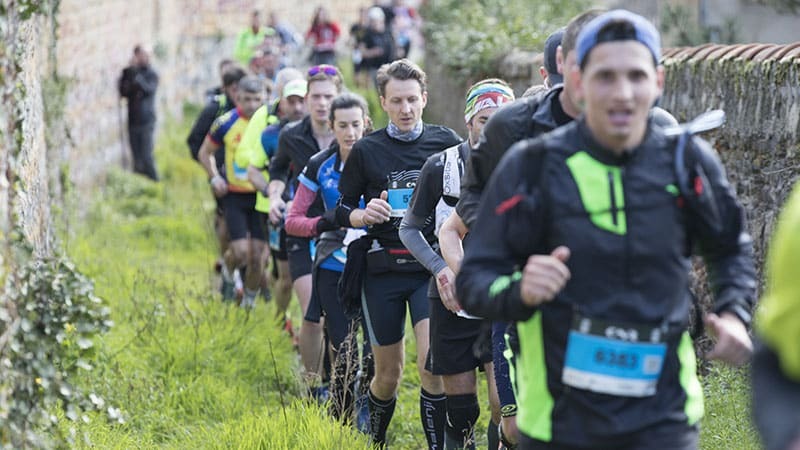 As mentioned, Lyon Urban Trail is organised by Extra Sports. Extra Sports is an agency that creates sports events for its partners and clients, specialising in running, cycling and multisports. Aside from the partners, the heart of Lyon’s Urban Trail is its participants, and of course, winners! Previous winners include Anna Wazik in 2018 with a time of 2h58mn02s, and Marie-Amelie Juin in 2017 with a time of 2h27mn09s. 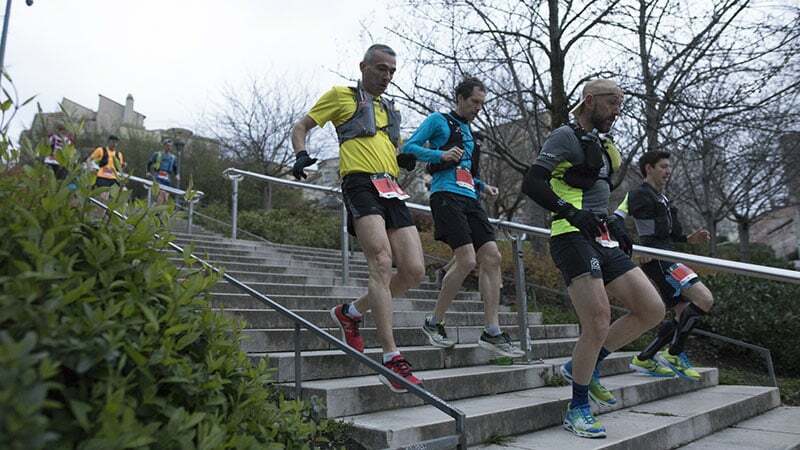 Each of the approximately 7000 runners participating in the event are the real gem of the Lyon Urban Trail.